Another Signing Event at Royal Collectibles! 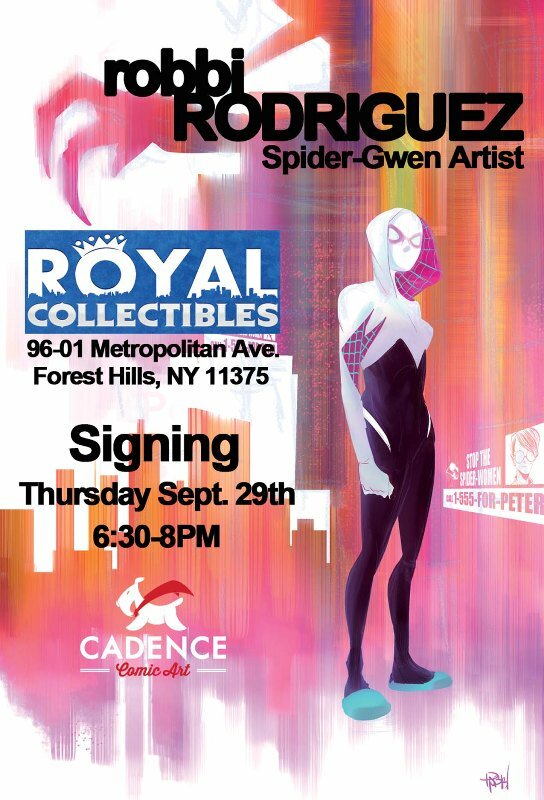 Spider-Gwen artist ROBBI RODRIGUEZ will be appearing at our store on Thursday 9/29 from 6:30 to 8:00pm! He will be signing comics and taking commissions! Any questions, don’t hesitate to contact us! This entry was posted in General Info on September 21, 2016 by admin.